The other day, I was on a call with a colleague from Europe and she was asking me about my work hours and for some reason, the conversation led to sleeping hours. She was surprised to discover that I don’t get 8 hours of sleep every night. I usually get around 5 or 6 hours of sleep. This got me thinking so I asked a couple of friends how many hours of sleep do they get and several answered that they get the recommended 8 hours. I would love to get more sleep but I get most of my reading done at night and I won’t get to read as many books as I’d like if I go to bed early (and I already have a big enough TBR pile as it is). There are nights when I have this dilemma – should I get some sleep or should I continue reading? There are times when I’m so tired, I fall asleep as soon as my head hits the pillow but there are also times when I stay up all night just to finish a book. What about you guys, would you rather sleep or read? This reminds me of my Books vs. Food post a couple of months ago. I have a different case. I read so I can fall asleep at night. I usually read a book during the day. But I think you should sleep than read. Health is wealth. I used to do that before – read until I fall asleep – but usually I come to a point where I have to decide whether I should continue reading or if I should get some sleep. i read in bed 🙂 so i turn off the light when i get sleepy. however, i never hardly ever get anywhere near 8 hours. i usually read for a few hours every night – sometimes i’ll do a book cover to cover before turning out the light. i think that’s why i get so much reading done – b/c i don’t sleep all that much. Nomes, I mostly read in bed too. 🙂 Like you, I get a lot of reading done at night and if I sacrifice reading time for sleep then I won’t be able to read as many books as I usually do. It’s an interesting topic, right? I was really curious about what other people thought about it. It would depend on my shift if I want to read or sleep. If I’m on day shift, most of my reading is done when I get home, because I’m too lazy to open my computer then (yeah, I’m in front of my computer all day and when I go home, I do that, too. Thank goodness for my iPod touch). When I’m on mid-shift, I do my reading in the morning before I go to work/gym. Lately, though (at least for this week), I found myself reading before I go to bed, and that’s around 2am-3am. I wake up at 10, anyway, so that’s 7 hours of sleep. Good enough, but my body clock is so screwed with all this shifting. I wouldn’t be able to last on shifting schedules. I used to have a schedule similar to yours in my old job and I never got used to it, I was usually late in my morning shifts because I had a harder time getting up. If the book was so compelling or I’m near at the end, I’ll compromise my sleeping time. Sometimes it’s that never-ending “one last chapter” cycle. I usually get 7-8 hours of sleep. I do read every night before bed, sometimes first thing in the morning too. Generally I try to get myself to start reading early enough that I can get to bed before too late, but I’m not always successful. Yay you, you get 7-8 hours of sleep. I really should do that more often. Maybe I should do that to – I mean try to read as early as I can so I could go to sleep earlier. It’s just that I end up doing other stuff before I can get to reading. When I was younger and I still had summer vacations, I LOVED sleeping in. I can’t remember when I last got 8 hours of sleep regularly though, probably in grade school. Hey me too, I find that when I don’t get enough sleep, there are more nights when I just crash when I get to bed. It must mean that we need more sleep! I definitely read before I go to bed and like to read as much as I can. When I am almost done with a book I usually either finish it 11:00/Midnight or finish it early the next day. I get 6-8 hours of sleep. It depends. I don’t get to read in the mornings because I have a hard time getting up before I’m supposed to. I usually hit the snooze button several times before I can properly wake up. Oh no, insomnia is bad! I hate that feeling when you know that you’re tired but you can’t fall asleep. I’m glad it works out okay for you because you can read while waiting to fall asleep. I sacrifice sleep for reading all the time. often I can’t start reading until 9 or later with putting the kids to bed and spending time with my husband. Sometimes I really want to finish a book in one sitting and can’t because I know I have to be with it enough the next day to keep up with two active kids. The first time I read The King of Attolia I said the heck with it and stayed up all night to read it through twice (lucky for me my husband had the next day off). Sigh, life does get in the way of reading, right? I can’t remember the first time that I read KoA but I know I must have stayed up to finish reading it. What I remember the most is that I couldn’t stop thinking about the books after I finished reading all three. KoA is definitely worth losing sleep over! Depends on the book. There are books where it’s easy for me to stop and continue reading the next day, but there are some books that you know you just have to finish it or else you won’t be able to sleep! Exactly! There are some books that will keep you up all night, they’re that good. I don’t mind losing sleep for books like that. For health reasons I really suffer if I don’t get my 8+ hours sleep a night but I do read to get to sleep, which can sometimes backfire when the book is particularly engrossing! I have lupus, so the answer is a whole fun list of symptoms from dizzy spells and double vision to severe headaches and joint pains. I sometimes have to take a day off work just to sleep! I suppose it’s one way to find out whether you have an understanding employer or not. Oh no, sounds scary! So getting 8 hours of sleep is REALLY important for you. I hope you don’t have a hard time getting it. 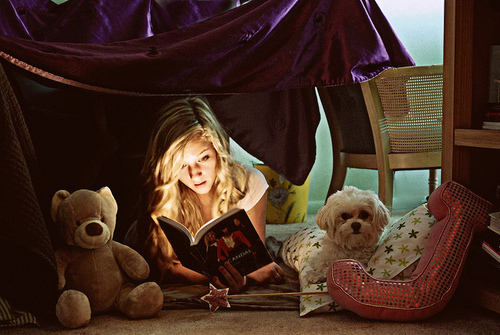 You should definitely prioritize sleeping over reading. I always opt for reading over sleeping. For better or worse. But it’s true. I adore sleeping and, like you, used to sleep in to my heart’s content when I was younger. Growing up (work and family) has changed the freedom of my schedule and I get far fewer hours than I should. But I would be sad if I didn’t get enough reading in each night. Very sad. I still sleep to my heart’s content during weekends or holidays when I don’t have any plans. Even when I was younger, I’ve noticed that grown-ups tend to sleep less than kids and I guess it’s true because I didn’t even notice it happening to me. But yes, I know what you mean, I can’t imagine not reading. Like you, that will make me really sad. And lonely. When sleep calls, I usually can’t help myself but nod off. I am like you. Eight hours of sleep to me is a rarity. I’m usually a 5-6 hour a night sleeper and I’m a really light sleeper which is awful! Everything wakes me up! I actually had to stop reading before bed though because then I would be up half the night thinking about the book. I also tend to dream about what happens in books so when I wake up I wonder what really happened in a book until I realize that I’m groggy and can’t think yet! hehe! I fall asleep right after I get home at least once a week. Maybe that’s my body’s way of saying that I should get more sleep. Being a light sleeper is such a hassle! Good thing I’m not like that. Sometimes, even my alarm doesn’t wake me up. I usually fall asleep while thinking about the book that I just read. It’s funny that you dream about the books that you read and you get confused when you wake up. LOL.